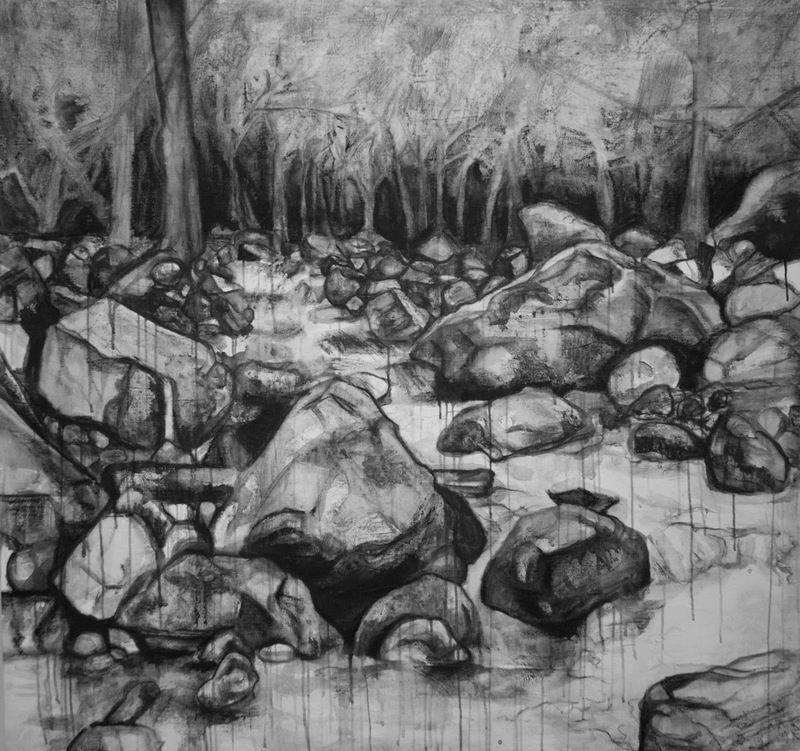 Local visual artist Leah Tompkins creates large charcoal drawings and paintings of rock landscapes. A recent graduate from the University of Massachusetts in Fine Arts, the exhibition expands upon her thesis series focusing on abstracted landscapes. Originally interested in rock formations and plant forms during her study abroad program in La Napoule, France, Leah has developed her series to mimic local landscapes and beyond. The exhibition features multiple four foot and larger paintings of abstract landscapes that encompass the viewer in a nostalgic and weighted new world.